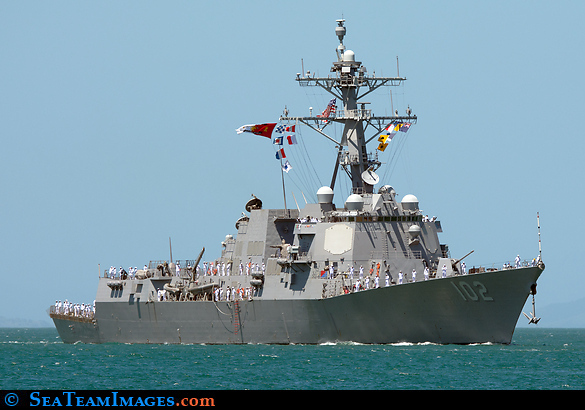 USS Sampson sailing in to harbour after assisting with Kaikoura earthquake disaster. First US Navy ship to visit NZ in 33 years! 75th anniversary of NZ Navy celebration.